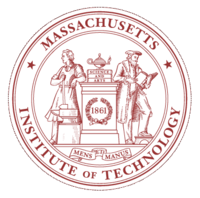 Massachusetts Institute of Technology (MIT) is a private, coeducational research university located in Cambridge, Massachusetts. MIT has five schools and one college, containing 32 academic departments, with a strong emphasis in theoretical, applied, and interdisciplinary scientific and technological research. Laser Medicine and Medical Imaging Group at MIT. The RLE Laser Medicine and Medical Imaging Group and its close collaborators were the originators of optical coherence tomography (OCT), a diagnostic technology now used in a growing number of medical fields. The group currently works to further understand and exploit the capabilities of OCT technology, with ongoing investigations in topics related to optical coherence microscopy development and optical biopsy using OCT.
Power-efficient nonreciprocal interferometer and linear-scanning fiber-optic catheter for optical coherence tomography.